The Experience has come again, This year’s event is going to be a Special Command Edition holding on Friday 2nd of December, 2011 from 5pm to 1am. This is very different from the 5 previous editions that was held at the Tafawa Balewa Square(TBS) . The Experience has been known as the world’s largest gospel music concert and the largest music event in Africa with last year’s edition recording over a million people in attendance. 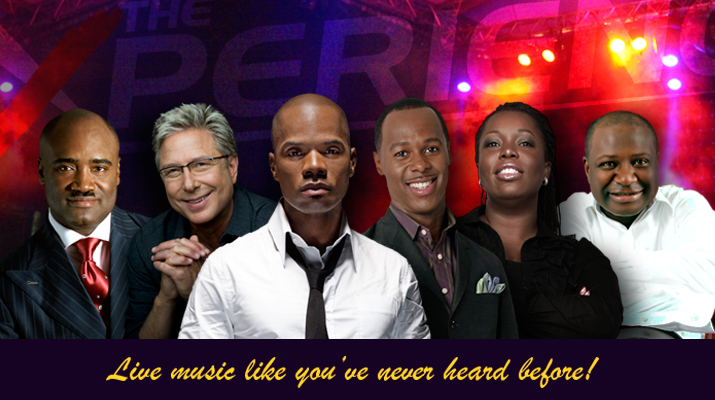 The Experience has featured artists such as Don Moen, Kirk Franklin, Ron Kenoly, Cece Winans, Israel Houghton, Donnie McClurkin, Kurt Carr, Bebe Winans, Tye Tribbett, Lionel Petersen, Panan Percy Paul, Papa San, Phil Driscol, Mary Mary, Micah Stampley, Judy Jacobs, Mike Aremu, Isreal Houghton, Sammy Okposo, Fred Hammond, Chevelle Franklyn, Lara George and the Chosen Treasure Choir and a lot of indigenous gospel artistes. This year’s event will be holding at the New Expo Hall of the Eko Hotels, Victoria Island Lagos which is limited in space hence the need for tickets for attendance. The tickets were however given out free. This was achieved by giving codes upon registering on a ticket portal. These codes were later used to redeem tickets for the event. The codes were limited and therefore ran out in a short time. Its not easy trying to compress an event that has about a million people in attendance into 6000.
right turn before City gate. Just like last year, I'll be working with the electronic media team for live updates and streaming, live blogging, Facebook updates, twitter, i-reporting, etc. Would you like to attend? Lemme know at the comment segment you might just get a ticket. Listen to Deitrick Haddon's new Song -" Have Your Way."